In 1932, the effects of unemployment as a result of the Depression reached critical levels. Millions of Americans were unemployed and were receiving relief money from the government. Many had not worked for several years and morale in the country was reaching an all-time low. "In addition to want, the unemployed were confronting a still further destructive force, that of worklessness." (Hopkins, p. 109) Federal relief rolls were growing, and taxpayers and those still employed seemed to be forgetting their earlier concern for the unemployed. "You can pity six men, but you can't keep stirred up over six million." (Hopkins, p. 111). The United States government was also experiencing a domino effect from high unemployment. Consumer spending was down. The reduction in spending had caused a reduction in public money available for public services which resulted in among other things the closure of schools and unemployment among teachers. The Civil Works Administration was created on November 9, 1933. It was intended to be a short term program designed to carry the nation over a critical winter while other programs such as the Federal Emergency Relief Administration were being planned and developed. Its original aim was to put 4 million needy unemployed to work for the winter of 1933-1934. CWA projects were sponsored primarily by local state governments, and every attempt was made to fit the projects to the local people in need of work. On the first payday, November 23, 1933, a total of 814,511 workers received checks from the CWA. Two weeks later, the number had increased to 1,976,625, and by January 18, 1934, there were 4,263,644 workers on the CWA payroll. On average, 80 percent of the funds allocated to the CWA were used for paying wages. Rates of pay were determined by geographic region, skilled and unskilled labor, and the prevailing wages of the area. The CWA used the payment system designed for Veterans Administration payments. This allowed quick disbursement of much-needed paychecks. "Long after the workers of CWA are dead and gone and these hard times are forgotten, their effort will be remembered by permanent useful works in every county of every state." (Hopkins, p. 120) Roadwork projects constituted the largest part of CWA work. Approximately 250,000 miles of roads and streets were built or improved nationwide. Other projects included sanitation improvements, repair or construction of public buildings, national park improvements, real estate property surveys, library, art and theater projects, and archeological excavations. Another goal of the CWA was to provide funding to start cooperative enterprises such as farming co-ops and small industries such as laundries and sewing centers. The CWA program ended in the spring of 1934. However, many projects were continued under the auspices of the Federal Emergency Relief Administration. As mentioned, CWA projects were sponsored primarily by local governments. Washington's program was headed by Governor Clarence D. Martin, and Director Charles F. Ernst. It was re-formed into the Washington Emergency Relief Administration (WERA) in 1934, when CWA programs ended, and was the local agency of the Federal Emergency Relief Administration. 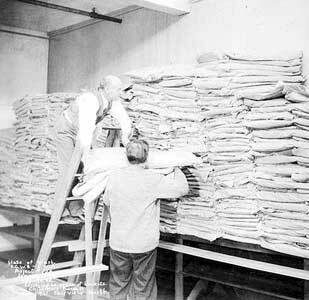 In King County, 3,500 were immediately put to work under the CWA during the Fall of 1933. By January, 17,173 were employed. CWA crews repaired roads, made concrete slabs for street paving, and built bridges. 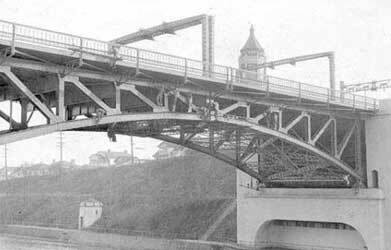 They organized flood repair work on the Cedar River and helped construct airports. Workers taught classes in modeling and decorative design and ran sewing centers for needy unemployed. They conducted tuberculin tests in Seattle schools and repaired trolley cars. Crews of CWA workers maintained and improved the University of Washington campus. In fact, the annual Campus Day events, which involved students and staff in campus improvement projects, were cancelled because so much work had been done by CWA staff. The CWA also helped develop Lincoln Park in Seattle by clearing underbrush and building trails, seawalls, playgrounds and tennis courts. The Departments of Engineering for King County and Seattle jointly administered CWA Project 622. This project employed engineers, surveyors and draftsmen in a topographic survey of King County for improvements in sewer and drainage systems. Records in the City of Seattle Archives include field notes, correspondence, computations, resumes of project staff, budgets, and progress reports. In Washington State, CWA workers developed a ski park at Snoqualmie Pass, a forerunner to the popular Snoqualmie Pass ski areas that exist today. Three crews of CWA workers made improvements to Mt. Rainier National Park. The first crew organized river bar cleanup and crib construction for flood control and made improvements to the Carbon River Road. This crew of 108 men worked from December 15, 1933, to March 31, 1934, and lived at the Manley-Moore Lumber Company's facilities near Fairfax. A second crew of 68 men and one woman worked in the Ohanapecosh district. Employed from December 8, 1933, to April 6, 1934, they developed the campground and built an approach road. They lived in facilities belonging to the road contractor and the Ohanapecosh Hot Springs Company. The third crew of about 174 men and 6 women worked in the Longmire area. About 42 of those (including the women) lived in towns or on farms near the Nisqually entrance to Mt. Rainier National Park. The rest lived in existing facilities at Longmire. 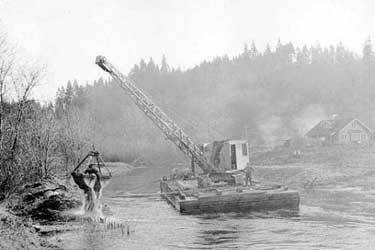 This group was divided up into more than a dozen work crews, employed on diverse projects such as lumber milling, building construction and repair work. The total expenditure of CWA monies at Mt. Rainier National Park came to $80,292.23. Three-quarters of that money was spent on salaries for the workers. One of the most successful cooperative efforts funded by CWA was the development of the United Producers of Washington cannery. Additional projects involved a joint effort by the CWA and Washington State University to survey part-time farming in Lewis, Thurston, Douglas, Spokane, Chelan, Walla Walla, Clallam, Mason, Cowlitz, and Pierce counties. Alsberg, Henry G. America fights the depression: a photographic record of the Civil Works Administration. New York: Coward-McCann, 1934.